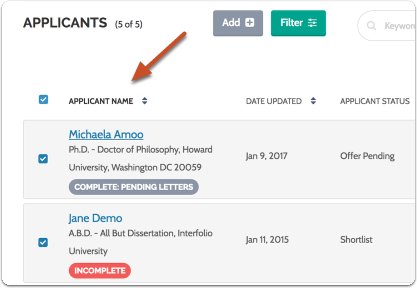 The list of applicants for a position is often quite long, but we provide you with tools that will help you organize your work by allowing you to customize how the list or applicants is sorted and what information is displayed. 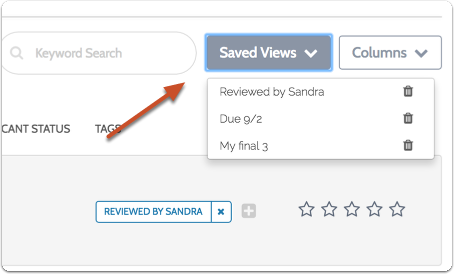 You can also save and recall your searches and customized views of the list so you can save your work and return to it later. 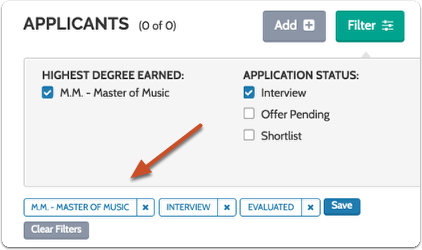 This article explains the tools we provide to help you sort, organize and manage the applications for your position. 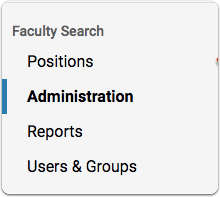 You will see the list of applicants for your position listed in a table. The position title and open and close dates appears at the top left of the page, the position status to the top right, as shown below. 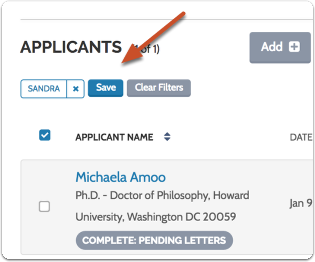 Check the "Applicant Name" box at the top of the table to select all applicants in the list, or check the box next to the applicant(s) you want to review. The buttons that display here are determined by your role in the program, and your display may show different buttons than the ones below. See here for more information on using our Materials Viewer to read and annotate application materials. See here for more information on downloading application materials. 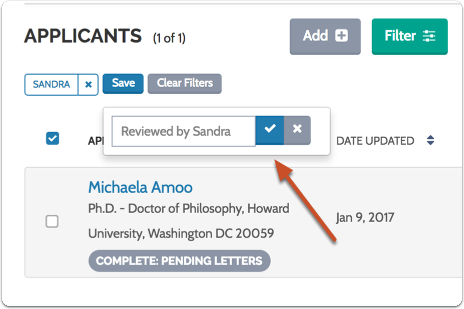 You can filter the list of applications by data points including highest degree earned, application status, labels, ratings, or completion status. 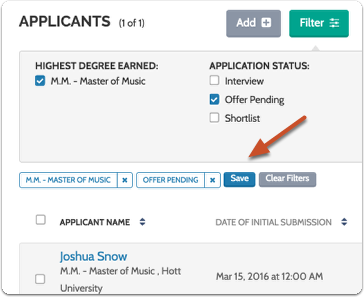 If applicants have filled out forms, you can also filter by responses to application forms! Note that you can easily remove the filters you add either one at a time, or by hitting the button labeled "Clear Filters." 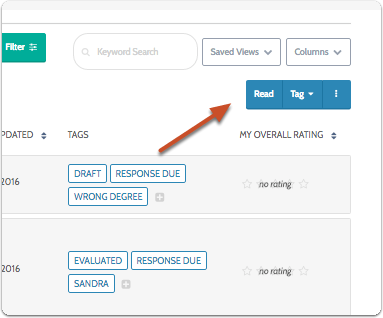 Tags are bits of text you can use to help identify, sort, and mark applications. 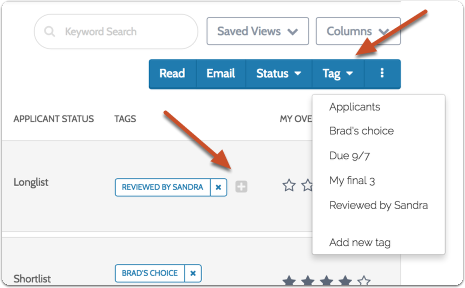 If your institution allows it, you can add and create tags to attach to an application. 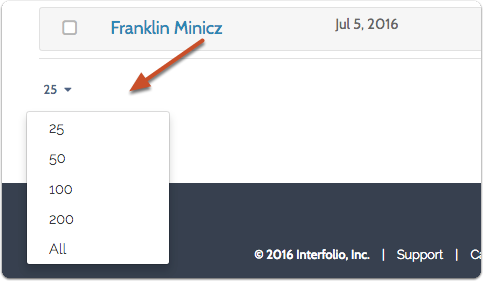 You can also click the "Add" icon to add a label to an application. 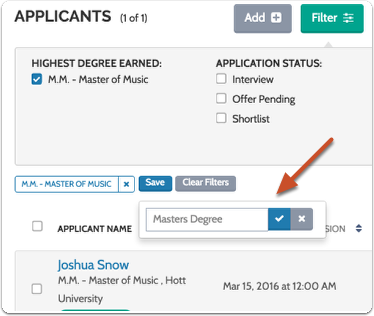 You can configure which columns the applicant list will display. 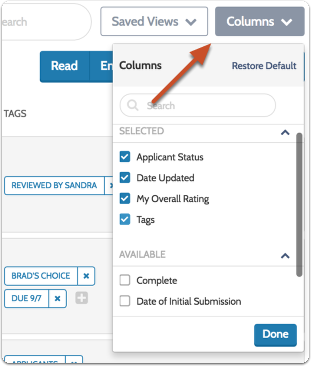 Remember that changes you make to the filters, columns, searches, and pagination will be remembered during your session. 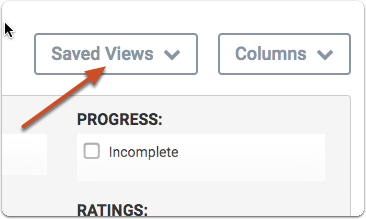 To save the searches and filtered views of the list, click the "Save" button and give the view a name.